Learn from national expert John Chamberlin about the role of Local Elected Officials within the workforce development system under federal law and discuss advocacy and policy that supports the future needs of workforce development. A panel discussion highlighting best practices around youth internships, including local chamber models, benefits to business and business partnerships. Kaitlynn Chritton (Speakers) Senior Project Manager, Worksystems, Inc.
Barbara Timper (Speakers) Youth Services Manager, Worksystems, Inc.
A discussion on how to make education more powerful for students by offering more opportunities for students to engage. A look at the movement toward portability, certification of competencies and micro-credentials. A discussion on registered apprenticeship, an industry-driven “earn and learn” model that combines on-the-job learning with job-related instruction. Learn why businesses choose registered apprenticeship and promising models in Oregon. 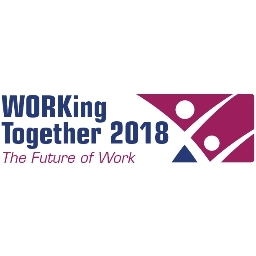 Blair Shaeffer-Bisht (Speakers) Senior Project Manager, Worksystems, Inc.
A discussion on working better together through the alignment of housing and workforce systems. A presentation of Oregon’s Economic Opportunity Program. Hear about best practices in Oregon’s workforce development, including partnerships, training and community issues. The GiG Economy is Here – Now what? Kei Ishida (Speakers) Senior Project Manager, Worksystems, Inc.
Andrew McGough (Speakers) Executive Director, Worksystems, Inc.
Wallace Corwin (Speakers) President & Director of JWDRS, JELD-WEN Door Replacement Systems Inc.
Patrick Gihring (Speakers) Chief Program Officer, Worksystems, Inc.
Presenters from across Oregon highlight successful high-tech CTE programs in the state. Patrick Maag (Speakers) Plant Support Manager, Boardman Foods, Inc.
A discussion on the changes within companies, supply chains, industries and skillsets as the workplace becomes more automated. In closing, we will gather as a group to discuss future meetings, online learning – Intention, Prototyping, Reflection and reflect from the plenary of participants.